This is a piece of sandstone. 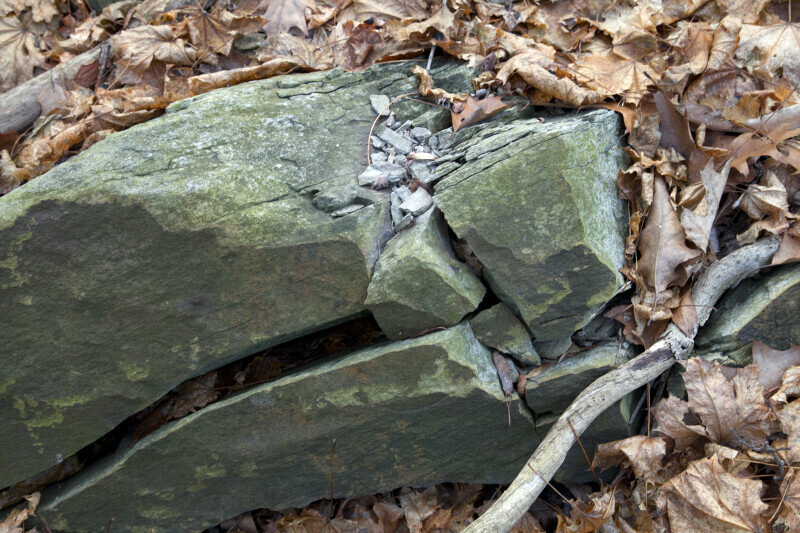 The stone appears to have been weathered by frost action, or frost wedging. The water flowed into small fissures, and expanded when it froze, which expanded the cracks in the rock.